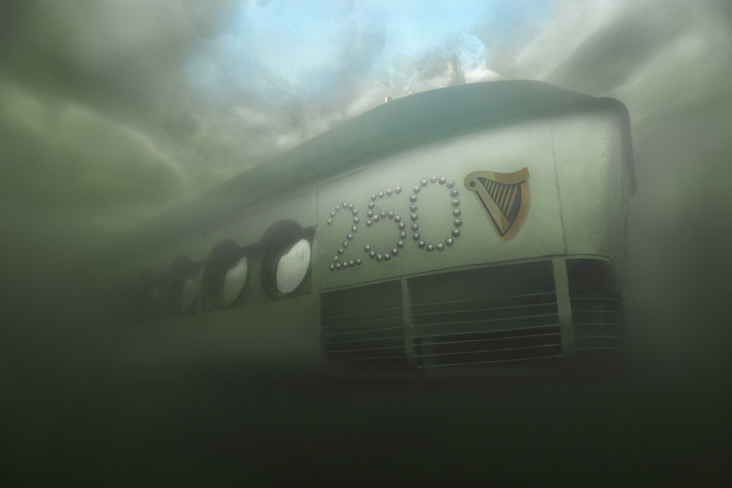 To celebrate Guinness’s 250th anniversary we worked with Jump Studios to create a bespoke submarine/bar which navigated its way to the depths of the Baltic around the Stockholm Archipelago in Sweden. 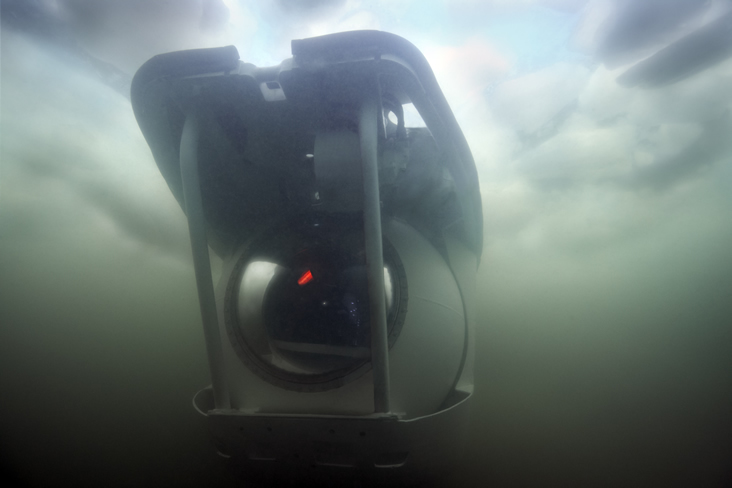 It took a lot of research to find a set of specifications we ought to be working to – finally settling on the American standards for submersible vessels. 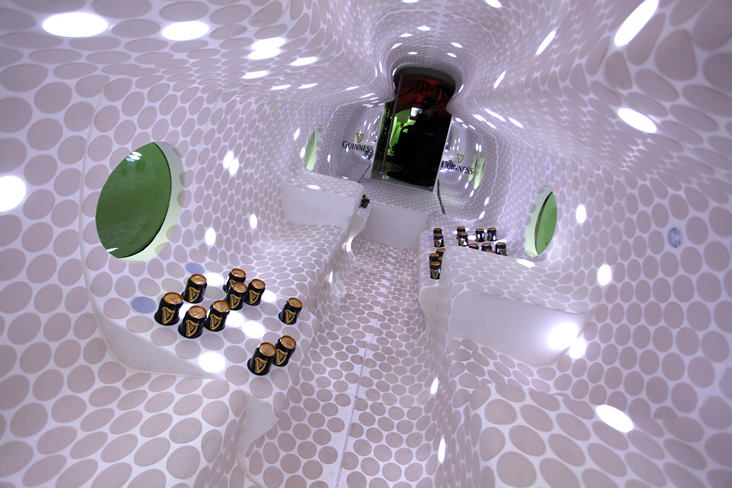 This led our choice of materials, using an advanced fire retardant and low de-gassing GRP. We then surveyed the interior of the sub, paying extra attention to the two small access hatches we were going to have to pass all the interior components through! We knew that we would have to basically fit a ship in a bottle, so we set about making a mock-up of both the interior of the vessel and a hatch to test out passing all the parts through safely. From our plans and cross sections, Jump studios produced designs for a series of different sectional elements which produced the interior and all the functionality required for the event. We then added in the provision for necessary services, air supplies, lighting and emergency access to oxygen masks, before producing a set of CNC cut moulds. 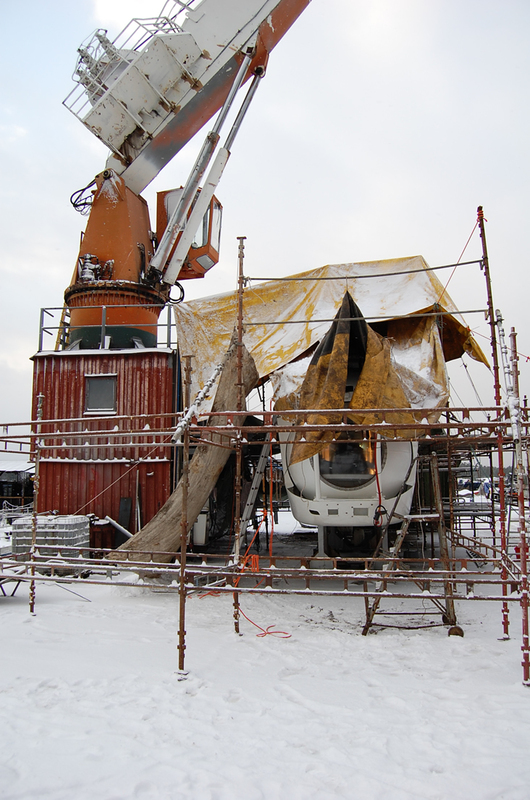 We installed all the interior components in Sweden in arctic conditions on the dockside over a 6 day period. The sub was launched a few weeks later for sea trials before the main event which saw completion winners enjoying a pint of Guinness deep below the surface!